For a company located in rural eastern North Carolina we have been fortunate enough over the years to receive quite a bit of media coverage. This page will help us share some of the coverage of both our farm supply business, Powell & Stokes, Inc., and our retail line of peanut products, Bertie County Peanuts. And, if you know of something we should include on this page, please let us know! All documents are pdf files unless otherwise noted. Bertie County Natives Staying Put, But Census Shows Few Others Move Into Area, The Virginian Pilot, June 2, 2002. Jeffrey S. Hampton. Used by permission of the author. 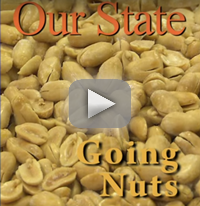 Going Nuts, Our State, February 2007. Katherine Kopp. Used by permission of Our State magazine. Between You and Me, Metro Magazine, January 2009. Carroll Leggett. Used by permission of the author. 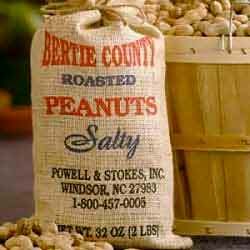 WITN-TV, Do My Job featuring Bertie County Peanuts, November 2009. Click here to view the video. To view the video you will need Quicktime. Powell and Stokes: 90 Years, Roanoke-Chowan News Herald, March 26, 2009. Thadd White. Used by permission of the author.